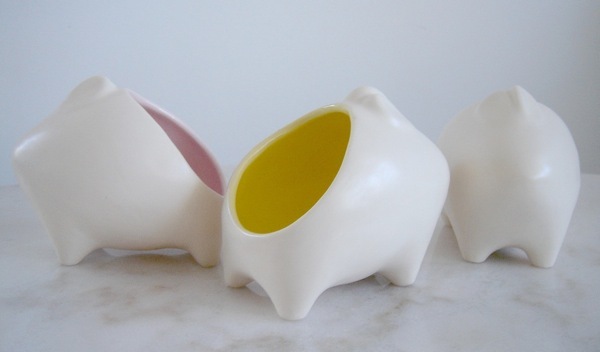 FK chats to Brisbane based designer Sharon Muir about her ceramics label. Tell us about your ceramics label and why you started it. My production range started with the idea to make pots for plants that were designed around the type of plant that would go in to them. The pebble pot, designed for orchids, was the first and so far the only one of these. I started with the orchid pot because I wanted one myself! 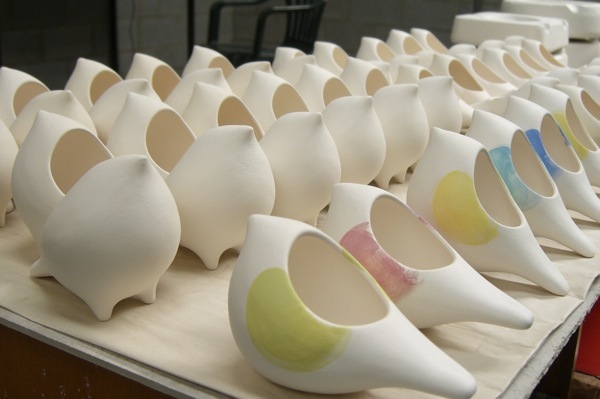 It was during a studio clean up that I started on the path towards making my animal pots. I found the rabbit mould, which I had made years before for a conceptual project. I was going to throw the mould out but decided to cast it first – it was so cute I decided to keep making them! Later came the bird, then another bird, then an owl and my journals have growing lists of all the other animals I want to make – when I find the time! 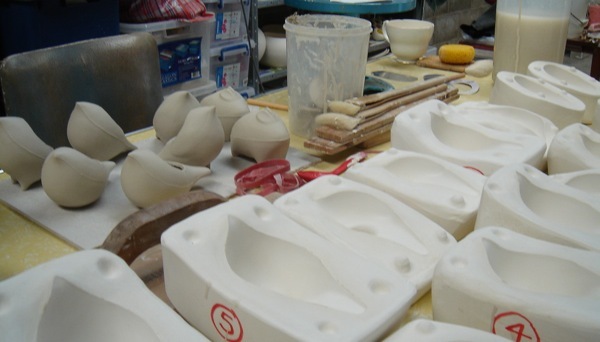 What is your background and what lead you to a career in ceramics? 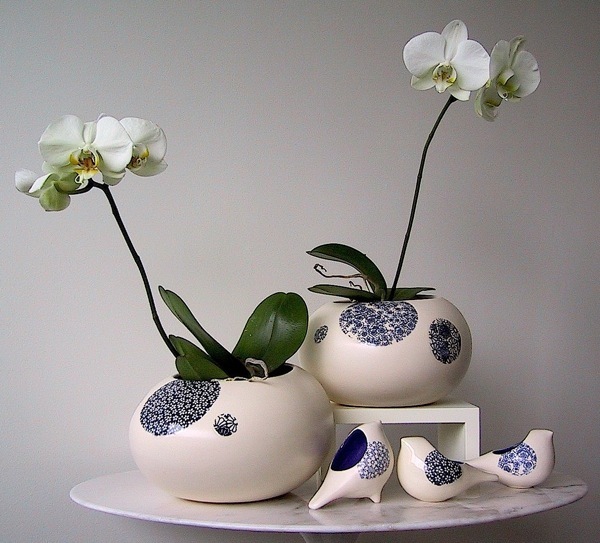 I Studied Fine Art Ceramics at RMIT to Masters level. After that I just never stopped making pots and I never wanted to stop making pots – despite the distraction of ‘real jobs’. Thankfully the balance of days spent in the studio has started to outweigh the days spent doing the ‘day job’. What is your design process and workspace like? Sometimes an idea will just pop into my head or I will be inspired by historic or vintage ceramics. A new piece will start out as a rough sketch, or a series of sketches; the design is then worked out during the modeling process – when I sculpt the original that will then be used to make a mould. I do all the clay stuff in a fantastic space run by Metro Arts in Norman Park, Brisbane. I work in the ‘shed’ space – a shared studio. In former lives the site was a sub-station, a tram depot and a garage for ‘Delta Group HQ’ a branch of the SES in Queensland and now the name of my blog. 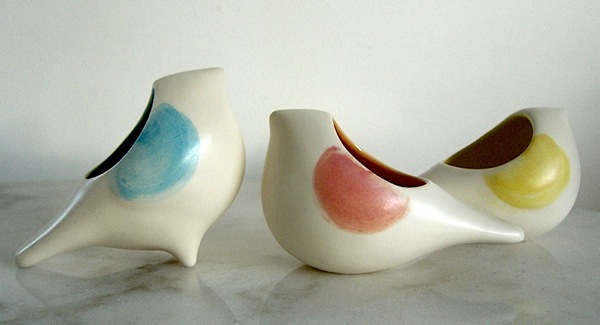 What do you find most enjoyable about ceramics and sculpture? My favorite part is definitely modeling the originals and watching a form or character develop. Making new work is always exciting and leads to more new ideas. What have you learnt most about managing your own business? I think the biggest lesson I have learnt is to ask for advice and help when I need it. 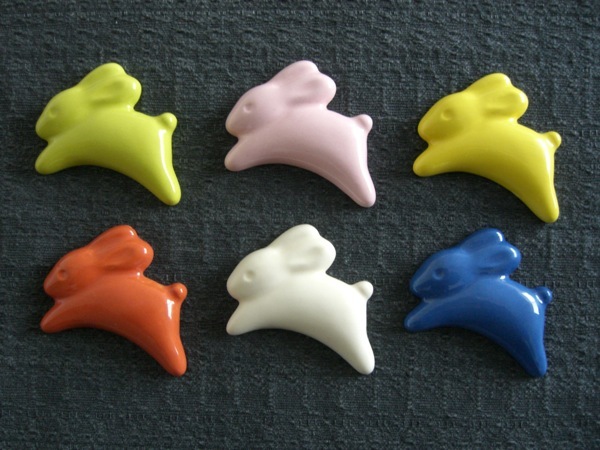 Some very cute colourful brooches, a Christmas decoration, a new trinket box – and in my head I am working on a lot more! Beautiful / love the ones third down. Sharon’s work is absolutely beautiful. You can really see the characters in her work. The birds are gorgeous! Love at first sight! The birds are so utterly gorgeous!